Here is a new game that we've made over at the Lo-Fi Minds homepage. It is called xWUNG and it's a remake of a game by Cactus. Click on the image to play now! 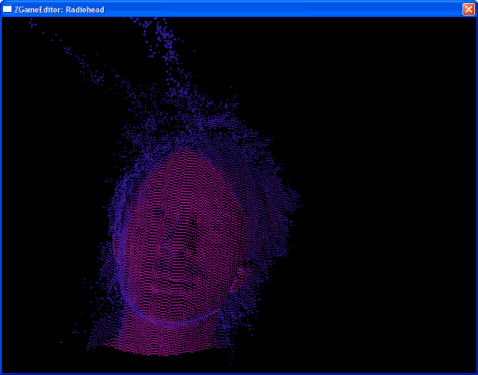 Data from the new Radiohead-video rendered inside a program made with ZGameEditor. More info in this forum thread. A new 64kb game from JPH Wacheski made with ZGameEditor: "Artificial Nature". It is a very polished game with a great intro sequence. Another great game from JPH Wacheski made with ZGameEditor: "Gyro-Phyter Neo". This is his best ZGE work yet with brilliant retro style action! A work-in-progress version of the game can be downloaded from this thread (scroll down for latest version). Jph Wacheski has released another game with ZGameEditor, and it's even better than his first! ZGameEditor Visualizer (ZgeViz) plugin released!